When you observe that your furnace at home is continually running and won’t turn off, you need to get the problem fixed as soon as you can. You might already have a suspicion about what’s causing the problem, but keep in mind that there are various factors that may have brought about this situation. Your heating and cooling systems work hand in hand. If you’ve done an air conditioning installation and the air conditioner were to break down, the furnace would also be affected. The situation might be less serious than you think, requiring an easy fix. Start by checking your thermostat settings, making sure that it’s set to heat and is in automatic mode. Also, double-check if the temperature you have it set to is the best temperature for your home. If you were to set thermostat for your residential AC to a very low temperature, the unit would likely keep running to achieve the requested temperature. The same goes for the furnace; if it’s set higher than needed, your furnace isn’t going to stop until it reaches that higher temperature level. Also, some controls or parts of the unit could be broken, which could be why the temperature isn’t being properly regulated. Leaking ductworks may cause your furnace to break down, so you should check to see if your ductwork is loose or cracked and needs to be sealed. The good thing is, such problems can easily be fixed with some sealing products. If your air filters collect too much dirt, mold and mildew could grow over time. This will make your unit work twice as hard, which could eventually cause it to break down. For more information about changing your air filters or to learn about commercial AC maintenance, you can contact professional HVAC contractors like Air Products & Services. 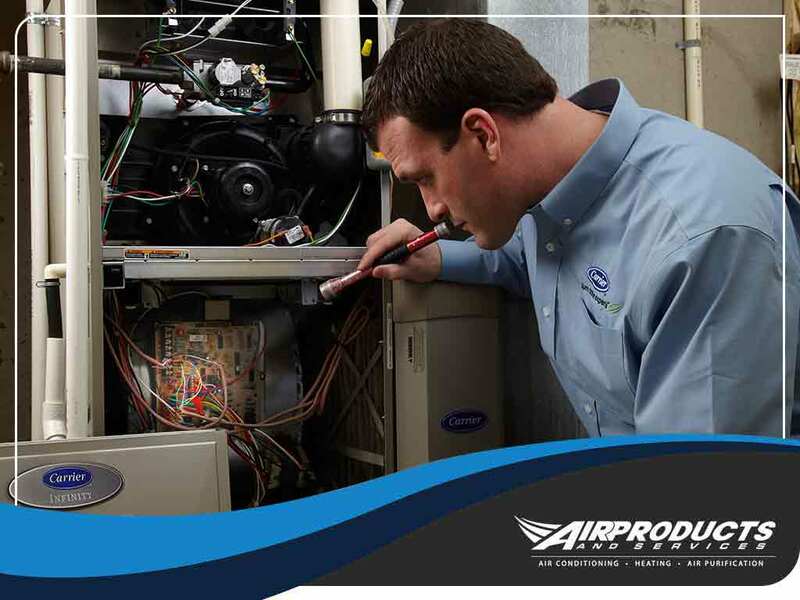 In Tarzana, CA, you can reach out to Air Products and Services for help. Contact us at (818) 334-8403 and request HVAC services today.